Pro Tip: "Bifen LP doesn't get activated until it's wet. After applying them you can wait for it to rain or you can water them in for immediate activation. When you finish applying the granules make sure you use a broom and sweep the particles back onto the turf . This eliminates possible run off into the water ways." Bifen Granules LP - 0.2% - 25 lbs. One bag will cover about 5,000 to 10, 000 square feet and is safe for non-target animals such as pets, mammals, birds, and reptiles. Bifen LP with its unique sand core structure is used to control fleas, ticks, crickets, ants (including imported fire ants), roaches, spiders, worms, and almost all other insect pests. Compare Bifen LP to Talstar PL Granular with the same active Ingredient, Bifenthrin 0.20%. Both Bifen LP and Talstar PL have the same label; Bifen LP is more economical. One application of Bifen LP will provide a 2-4 month residual; average residual is 2- 3 months. It may be applied by a spreader or by hand. It can be spread over the lawn or spread around the perimeter of your house. The initials "LP," stands for lawn and perimeter. Bifen LP has no odor and the low application rates make them cost effective as well. Bifen LP release chemical over time as it rains. Once the Bifen Granular is inside soil it will protect by killing the pest as well as preventing pest problems. As an outside perimeter treatment, apply Bifen LP around your home as a 5-10 feet band. As a general broadcast, Bifen LP may be spread over the entire lawn to combat such insects like chinch bugs, fleas, mole crickets, armyworms, cutworms, sod webworms, mealybugs, fleas, and fire ants. A normal application would be around 4 pounds. Bifen LP doesn't get activated until it's wet. After applying them you can wait for it to rain or you can water them in for immediate activation. When you finish applying the granules make sure you use a broom and sweep the particles back onto the turf . This eliminates possible run off into the water ways. These granules are labeled to control a large variety of insects : great variety of insects such as ants, crickets, ticks, fleas, and certain other pest such as turf and ornamental pest. These granules are great for fleas, fire ants and chinch bugs. I have been using Bifen for years here in Florida and can tell you that it works and without harm to people or pets. Applied it twice around my foundation. Stuff is grandular and easy to apply. I just pulled back pine straw about 1-ft from around my foundation. Been using this product for years. Keeps good control of insects around Florida household. Prefer granules to sprays and liquids. Easy and safe to apply. Great stuff, helped with wiping out a flea infestation from the 3 un-managed pitties next door. Cleared out the area along the fence line about 5 feet wide, and laid it down with a spreader according to instructions. Price is very fair, will purchase again! When the crawlers get in motion it is time for th Bifen. I use twice a year and it knocks everything down. Not a crawler to be seen. Great stuff. The granules worked super fast. Even before I finished spreading them, the vast majority of the ants had disappeared. I wet the granules a short time after spreading them. So far, so good. I still have some ants but so far, they seem, at least, controlled. One question I have is: Do the granules destroy the ants or just repell them? Great for Florida lawns. Keeps pests at bay and doesn't harm animal life. I have been using it for years with no problems. right now ordering two more bags, Spring & the rain , bugs are on the move .. ! This product went beyond my expectations. Our neighborhood has a lot of crazy ants. I put this out once and waited about two weeks and put out another application. I called an exterminator to spray the outside of my house and the close perimeter of my house. He said whatever I put on the yard really did a number on the crazy ants. I also used the optigard on the inside of the house. That also took two applications but it worked. In the future, I don't plan on having to call an exterminator. These were great products. Super easy to apply product with almost unbelievable results! North Louisiana’s common lawn ants attempt to take over my yard year after year. I then go to my local box store & spend $8-$10 per small bag that treats almost all mounds after each rain. Days later I find the mounds have all moved over 3-5ft. This year I decided not to play that game & do a little research. This is the product that I determined would be most beneficial to my lawn. I put this product out early March ‘18 and have not seen a mound yet (June ‘18). I’m talking 100% ant free! I was blown away by the results. I wish I could set up a table in my driveway & sell this stuff to the neighbors. It’s amazing! Been using granules around the property for years. Know that it is a highly recommended formed of pest control in Florida and this product gets the job done easily and very effectively. We just moved to South Carolina and were struggling with red ants in our yard. Among other insects in our yard. We tried other commonly known insecticides from local hardware stores, without results. Gave this product a try and are very pleased with the results. We will definitely keep this product on hand for insect issues in our yard. Works quick, great price and customer service, ships fast, and is an effective product. Thank you! Many sprays, etc. claim to work on many things, but when you get to the fine print, sand wasps aka: cicada killers weren't on the list. I couldn't find anything, anywhere that promised this until I found this website and these granules. Worked as promised.....thank God....we had about 30 small kids due to use the large sandbox a few weeks later. Thanks!! I used the Bifen granules on two of my softball fields that were being over taken by cicada killers. I applied the granules as suggested and then watered both fields. Though there are still a few cicada killers, they are FAR LESS than before. Last summer I went through at least 50 cans of hornet spray and I started on that track early this summer. I decided that trying something else couldn't hurt. The Bifen granules seem to be worth their money. I will do this again next summer! Based on Do-it-yourself's recommendation i have used this product for several years. Awesome results. Real challenges here in Florida with bugs period. These granules helped with the centipede problem we were having. It did not get rid of them completely, so we will reapply. Maybe we had too big of an infestation to start with. (they came with dirt we had hauled in) Shipping was fast, price was good. Glad to have this option. We use it for fire ants and ticks. We broadcast it twice a year. It works great. We use this product twice a year over our entire yard including the flower beds. It rids ants, fleas and ticks. Plus it is safe around our 4 dogs, 1 cat and dozens of deer. We have found nothing better! The product was as described and easy to apply. It was delivered promptly after ordering. Good product and did exactly what I needed. Solved my issue of garage evading insects the previous owner never took care of. And solve the ant issue I found in mulch. I will be applying this twice a year. Spring and Fall to keep pests at bay. Very effective. I have a stubborn ant problem. 3 weeks after application the ant hills were down. Shipping was quick, price was good, product is great! Bifen LP has a broad usage label with most common pests that we want to prevent from coming inside our rural home. I apply it as suggested on label 2 or 3 times each season, works great! This is the only product I've tried that worked getting rid of ants. This is a great product. I was searching for a solution to minimize fleas in the yard due to a number of stray cats. This product handled that as evidenced by my own cat and MORE. No more ants. I like that I don't have to apply it for maybe another 6 or 7 months. It was easy to apply with a spreader. Love it. We had an issue with ticks this past winter here in Northern Florida. After Consulting with customer service we decided on purchasing this product and I'm glad we did. We tried other products from our local stores and nothing worked. I highly recommend this product and I will be purchasing more. And according to the weather station ticks will be highly active in the northeastern part of the country this spring and summer. Not sure how this is working but it met my expectations. Sod webworms were decimating my lawn. After one application the moths no longer swarm. This product did what no other product could do to stop a severe millipede invasion in my home and yard. Highly recommended! Excellent product. One application and no ants. I cannot tell you how happy I am that I decided to "Do it Myself". The Bifen granules have stopped my basement being overrun with the sow bugs that had invaded my basement. Thank you for your instructions. I sprinkled it outside the perimeter of my townhouse and it has worked miracles. This stuff is outstanding. Would recommend it to anyone. I've used this product two seasons now to control flees as I have many dogs on three sides of my perimeter. It works great just make sure to water it in good. I have always used liquid BiFen but thought I would give the granules a try. It is very small almost power like so it does spread very well. I consider this to be a second defense in bug control which has been working well so far. These granules really work...great for spreading a 10' perimeter around the outside of the house foundation to keep insects and termites at bay. I've used it 3 years now in TN and no terminates. Very simple to spread with a hand grass-seed spreader. Love it! Bifen LP Granules Did just exactly as I wanted. Yes I would recommend product to anyone! I have been using Bifen here in bug infested Florida for several years and it has been awesome and it's pet and environment friendly Product does everything they said it would. The quick service from DIY Pest Control has been terrific. We began to see Fire Ant mounds in our yard and having a small dog we had to eliminate that issue. this product worked great to eliminate them as well as some other bothersome pests like crickets and even a huge decrease in spiders. Thanks and we always go to DIY Pest Control for our pest control products, they are reliable and provide good advise and products. Have been using Bifen LP for years for roach lawn insect control. It works on every thing i need it for. great product! easy to use, heavy rains had no effect. got rid of fleas in my backyard in one treatment. you gotta get this stuff! Product works great very happy with it!!! Super knock down and good long term control. We had a bad year for fleas and ticks in northern Virginia. This product did a great job knocking back theses pests. Also noted a decrease on mosquito population.... an added benefit. This is about the only insecticide that works on persistent pests in this part of the country. Mole crickets are gone! Cockroaches and fire ants too! Application is easy but as others have pointed out, this doesn't last long in the sandy soil/wet conditions here. Have to apply it every other month but this isn't the fault of the product--nothing lasts in sand and 12+ inches of rain per month. Very good product..have been using it for some time now, it keeps doing the job ! I have a remote area property that includes vast wild life. Of special concern is ticks and ones that destroy property. Over a couple of years the population of undesired crawlers have been greatly reduced to the exception level. It costs a few bucks but protecting health and property is a priority. Have been using this for mining bees for a few years and it has decreased the number of bees considerably. Also have seen a decrease in ticks and ants....DIY is a great place to buy and they are very helpful with questions. Use it every year at the beginning of summer to combat the mosquitos and it does a great job. We also spray lawns with liquid bifen as well. good product but not Telstra plans! Post 48 hour application with water in, product is still visible and results are beginning. 1 week follow-up, rain three times. Product is not visible, results are 60 percent elimination. Two week inspection, results are 80% elimination. Good product for the price. Spreading equipment must be of quality to apply. great product, we had problems controlling ants in the house, but this product has done wonders, I use the granules and go over that with the liquid bifen it product and have no problems for months. Works great here on coastal Florida. 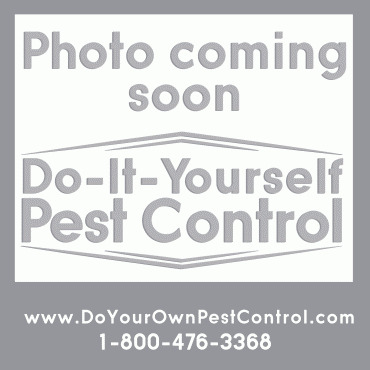 Been using this product from Do-it-yourself Pest Control for several years now and very pleased with the results. Usually lasts a little more than 3 months. Have to keep close tabs in this part of the country because things can happen to your yard very quickly. I used this on our house in TN and it works like a champ...I spray under the house with Bifen IT, around the outside foundation with XTS, and LP granules broadcast around the foundation perimeter. Clearly observable bugs are very active right up to the perimeter line and then they die! Awesome product, great company, fast ship. thank you!! (saves me tons over terminte prevention service). Per the recommendation of the knowledgeable staff, I purchased 1 bag for me and 1 bag for my fiancé who was having an outdoor function in a few days. Both bags arrived the very next day and the product was applied according to instructions. The outdoor function was a wonderful success and not a bug or bug bite in sight! My home...great success as well! No bugs! The product did it's job and the service was excellent. Easy to order on line and shipped out quickly!! We moved to central GA and discovered our home had a problem with American roaches. We initially contacted a recommended pest control service, but after having them come 3 times, the problem was not improving. A friend recommended "doyourownpestcontrol.com" and we found a couple of products including the Bifen .2%. We started treating the problem per the product specifications (i.e. sprinkle, and get it wet :-) on our own and instantly we started seeing the nasty things dying off everywhere. It was a bit disgusting to find dead roaches everywhere, but we reminded ourselves, that meant they weren't in our property anymore. We would recommend this product to anyone. This didn't seem to do too much for my millipede problem at first. I ordered one bag after talking to someone on their support hotline. I have 3/4 of an acre and he said one bag would be enough. I applied it to the entire yard and it rained two days later. It didn't seem to do anything. There were still hundreds of millipedes all over our driveway. I had just enough left over to go over the front yard again and then they seemed to go away. It is colder now though, so I'm honestly not sure if it worked or if they're just hiding due to the cold. If the millipedes come back, I may try something else. DIY Response: Millipedes are a tricky pest. Bifen LP kills millipedes fairly quickly after exposure, but It's important to apply it to the place where they are breeding. Give us a call: 1-800-476-3368 if they come back. I purchased this product for a system flea problem in my yard. Also purchased the "flea kit" for the household. Applied the Bifen at the 100 lbs per acre rate and my problems are no more. On the downside, I had a healthy and numerouse frog population that has now moved on. Glad the flea problems are gone, they were over taking my house. I bought this product and tried it after I could no longer find the product I used previously that was very good. This only slowed the ants down for maybe 2 weeks. It may work in other regions but for south Florida it does not. I got the Bifen l/p this past week and put it all down within 3 days. after 24 hours i could see a MAJOR improvement . the grasshoppers were dead or dieing. The hoppers are so horrid out here they eat everything. Sevin dust doesnt faze them. THis stuff is great, i could go on and on. it looked like a b horror story with all the hoppers flying around the yard , and eating everything. I will get more for the spring hatching. If you have grasshopper problems get this stuff. Follow the directions and water it down good. I am simply amazed!!!! I had a problem with earwigs. I used Bifen LP outside and Cyonara inside the house along the baseboards.These are the only products that got RID of the problem. I cancelled my contract with my Pest Control company; after several visits, they were NEVER able to get rid of the problem. These products works the very first time. They will kill ANY pest coming in contact. I will never use a Pest Control company again! Do-it-Yourself Pest Control is the only place that has saved me hundreds of dollars over the past 2 years; by doing it myself! We have tried every over the counter pesticide to control the ants in our yard. We tried your product and the ants were gone the same day. First time in 5 years we can walk in our yard in sandals without being stung by ants.